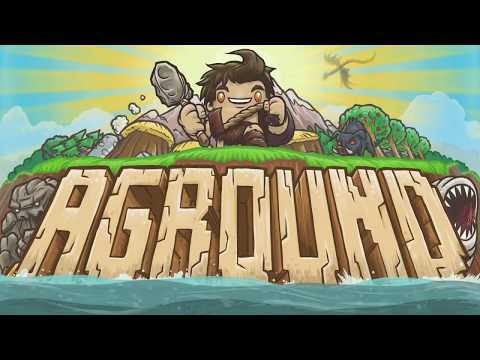 Welcome to part three of the Aground developer interview series! This week we have Chase Bethea, Aground’s Los-Angeles based composer and sound designer. Chase has been creating mesmerizing soundscapes for games and other media since 2011, and has been an integral part of the Fancy Fish Games team since their first collaboration (I Can’t Escape) in 2013. What do you do? Give me details on your role and responsibilities, and everything you do to bring Aground to life. I am the music composer and sound designer for Fancy Fish Games. My responsibilities include making the best ear candy for the game projects. When I write the music, my first goal is to make sure it fits the game in every aspect. It needs to be subconscious but not invisible, enjoyable and not monotonous. When I do the sound design, I try to make things unique but still appropriate for the action. I also find implementing and balancing the overall sound and music is quite important. Anything too loud can pull you out of the collaborative artform experience and anything soft can not pull you in enough. This leaves the player disengaged no matter the direction. Implementation is king with audio, as it is the last puzzle piece to ensure it fits with the game mechanics, art, story and tone of the game. What would you say to someone interested in becoming a composer/sound designer for games? I have and will always continue to say: play games. Play all types of video games, board games, card games, VR games etc. Playing the games allows you to get a better sense of the work you are doing. Those play experiences will come in handy when you need to have references or bring a certain sound that is being asked of you to the table. Do not come up with the excuse of not having time to play games. Make the time. It can only help, not hurt. Some of my main inspirations are from Crusader of Centy on Sega developed by Atlus. It was supposed to be a rival to The Legend of Zelda on the Super Nintendo. I stay motivated by taking some breaks away from a piece of music or sound design and working on something else. Breaks allow my ears to rest, and sometimes I objectively look at the bigger picture of what direction of the project is going in and what I believe is missing that will add some interesting elements. Also, having the community feedback and positive comments about Aground have been keeping me greatly motivated, especially when I receive shout-outs about the music. Some musical ideas I have had for Aground have come from melodies I have dreamed of. Some other sound ideas have come from mis-hearing a cool sound in a retro-game I was playing. For Aground I have a sound instrument pallete I made from the first theme “No Sky Limit” and “No Boundaries.” This is so I have some sound consistency for the soundtrack. Occasionally, I will add some new instruments in to fill out an idea I have (i.e. “Dance with Dragons”). After the new work session is made in my DAW (Digital Audio Workstation), I try to come up with a name and to do that, I read the game design document and/or play the game. Then, I begin fleshing out the ideas I had by coming up with a drum rhythm or deciding which instrument will carry the melody for the corresponding area for Aground. If I get stuck writing, I take a break or I play the game for a long time. I do not rush the creativity because if I am not feeling it, then the final result comes out half-done. I jump back and forth from the piano to the DAW to solidify my ideas. A lot of experimentation occurs, such as putting reverbs, delays and distortions on rhythmic patterns or instruments that I have not before. I tend to think of orchestration techniques with synths, so I will try doublings on some basses or stacking textures, entries and exits with the music; treating it as if it was a conversation but also extending a feeling. Two years ago, I adopted what I call the Alfred Hitchcock method. In an interview Alfred was asked about being the master of the unexpected. Part of his response was “They're saying to me ‘show us’ and ‘I know what's coming next’... and I say, ‘Do you?’ " Everytime I write music, I think about what I (and others) have done before too many times, and I go deliberately in a different direction. Some things do not change for the sake of form and project consistency. However, other things such as modulations, transitions, some chord progressions, melodic contour, orchestration, rests, time signatures and rhythmic patterns I do a little different every single time. When the composition is done, since I mostly mix while I write, I check the mix in Mono and do a little compression. Then, I monitor (mix check referencing) on other mediums such as headphones, phone speakers and car speakers. Lastly, I ask David, Natalie and Aaron for feedback. If it’s all good, I render the track, edit it for loop format and deliver it. For sound design the process is a bit different. I play around with a lot of musical intervals, plugin effects and sequences to achieve the sound effects. I think about the phrasing of the sound. I try to make the sound with my mouth and realize it in the DAW. Unless it is straightforward like swords, chainsaws and flesh sounds, then I layer and manipulate recorded sounds I have in a library or that I recorded myself and mix it altogether. Having the community give their feedback so fast to the updates we release is my favorite thing about working on the project. As a team it allows us to see what works and what does not work. In addition, it allows us to grow and make more cool things that we believe the players will enjoy and come back to discover. I went kayaking in the ocean last year with my girlfriend. I had never been in the ocean or kayaking before. I was terrified but after 30 minutes I learned to like it. You can learn more about Chase and listen to his work on his website, and follow him on twitter! Look forward to the fourth and final part of the interview series next time - Mincing Words (Natalie). See you then!